PRC Building ServicesNewsIndustrialWhat Are Green Star Buildings? What Are Green Star Buildings? The terms “Green Star buildings” and “Green Star projects” relate to the Australia-wide voluntary environmental rating system for buildings that was developed in 2002 by the Green Building Council of Australia (or GBCA). The system, based on established ratings tools and practices from Britain and America, is designed to provide a total framework and certification process for environmentally friendly building designs and construction methods. The property and construction industries have been aware for some time of the significant impact of their activities on their surroundings and the environment in general. According to recent data, buildings consume a staggering 30% of the world’s resources, using up 40% of its energy and over 10% of its water supply. They also are responsible for producing 40% of the waste going to landfill and it is estimated that commercial buildings in Australia account for almost 9% of our greenhouse emissions. Apart from helping to reduce a building’s long-term environmental impact, there are major benefits to designing and constructing a green building. These include reduced energy and general operating costs, the ability to attract tenants, higher marketability as an asset and as a highly visible demonstration of the principles of corporate social responsibility. Green friendly buildings can also have a noticeable on the productivity, happiness and even health on workers – studies have found that workers in such environments have less sick days and report less conditions and illnesses such as colds, flus and headaches. Considering that absenteeism can cost companies significant loss of productivity and hundreds of thousands of dollars each year it is easy to see why more and more businesses are considering building or updating their workplaces to meet the new standards. In order to become certified as a Green Star building or project, businesses must first determine if their project is eligible to be assessed – this includes providing evidence showing a range of factors such as use of space and spatial differentiation. The project can then be formally evaluated in a series of stages, with a Green Star rating of either 4,5 or 6 being awarded at the end of the process. There are also a number of different rating tools for different sectors such as public, industrial, health and education, retail and office buildings. In Australia there is now over 15 million square metres of Green Star certified and registered space. In Western Australia alone there are currently over 100 building projects that qualify for Green Star certification or are registered for the rating. 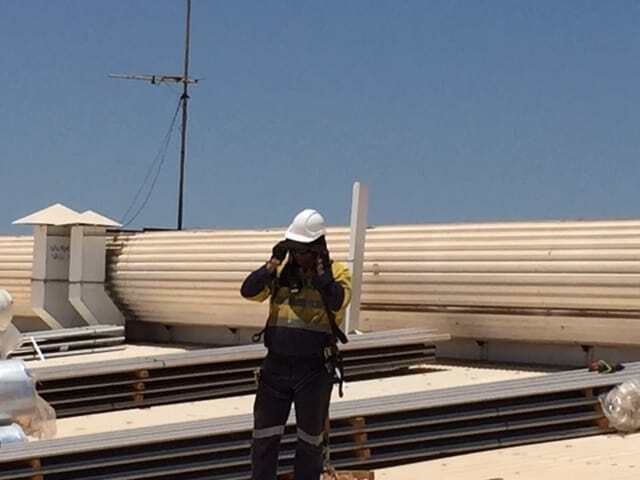 Building and roofing companies in Perth such as PRC Building Services play an integral role in the widespread adoption of green and sustainable construction practices by following the strictest quality standards and using only the latest environmentally friendly material and construction methods.